John Morris Scientific are pleased to introduce ISCO’s 6712 portable water sampler for all stormwater, catchment and runoff sampling routines. The 6712 portable water sampler combines the proven performance and reliability of ISCO water samplers with an in-built data logger and a wide range of plug-in accessories such as; flowmeters, YSI water quality multiprobes, rain gauge, digital I / O and even a modem to contact the user when an event occurs. The ISCO 6712 portable water sampler forms the basis of a complete stormwater monitoring package. Without the need for sourcing a range of instruments from various suppliers and trying to make it all communicate and interact. 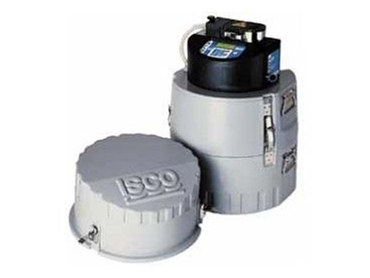 ISCO portable water samplers make it easy by allowing you to purchase the accessories you need and simply plug them in. Users can add the accessories they need, when they need them.